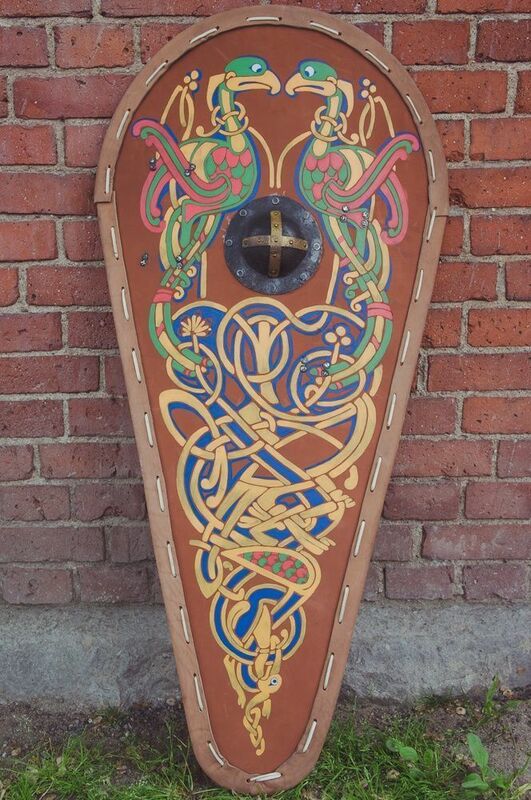 Shields - medieval shields by Steel Mastery. Welcome to section “Shields”. Different models of protecting gear from Ancient times until the late Middle Ages are presented here. All samples are handcrafted and custom made. They are based on the museum showpieces and old paintings. Choose an option of painting on the shield (if available) or type of finish treatment. If you have any difficulties when choosing, please contact our manager. We’ll help you to define your size, required model and its complement. 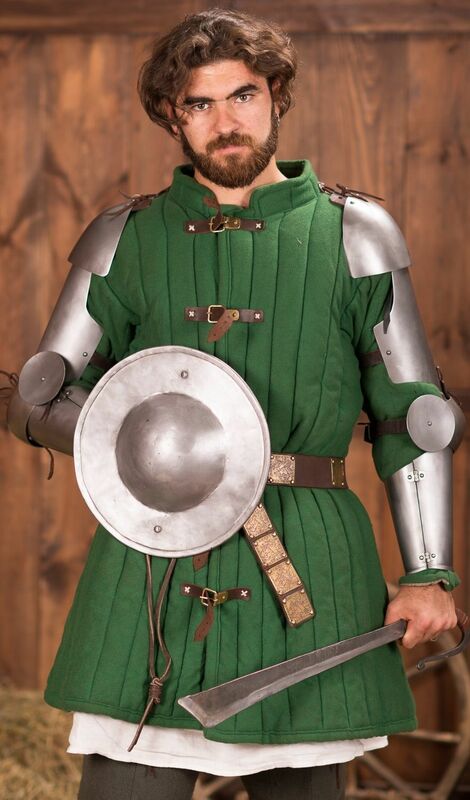 All samples of wooden shields, bucklers, hoplons are perfect for participation in the tournaments of medieval fencing, historical festivals, bohurts and reenactment events. Depending on the complement, such defense is compliant to the standards and rules of such social movements, as SCA (The Society for Creative Anachronism), HEMA (Historical European Martial Arts), HMB (Historical medieval battles). If you didn’t find the wished type of shield in this section, we can make it individually for you. Just send picture with detailed description to [email protected] Then we will quote you and discuss details of order. 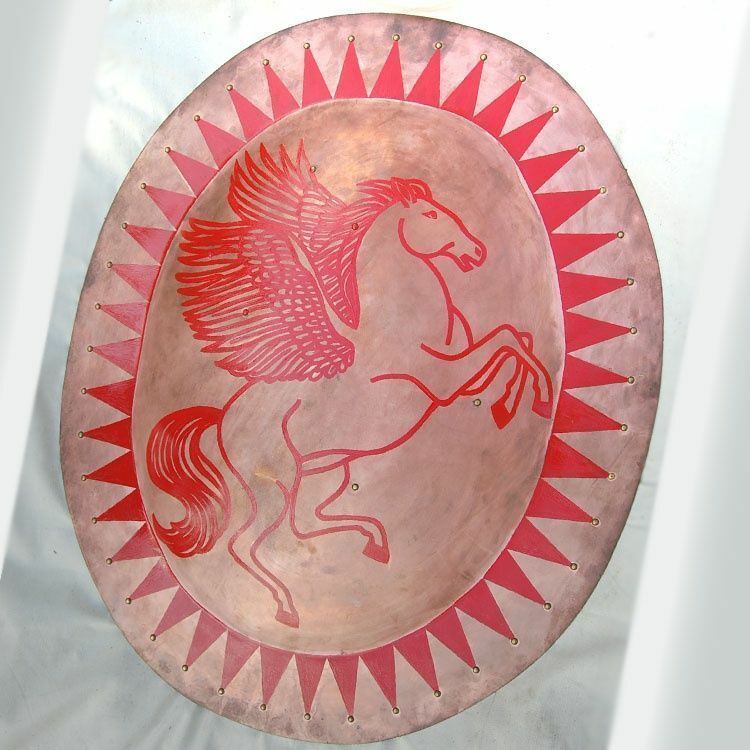 Round dished shield hoplon (also known as aspis) was an inimitable defense of heavy infantry in ancient Greece. Slim strips of hardwood formed the basis. Often, outer side of shield was covered with thin bronze sheet. Two handles were attached from the inner side: through one of them hoplite passed arm till the elbow, the second handle he held with fingers. Thin leather belt was making carrying of shield on the shoulders more comfortable, despite of its weight, which varied from 5 kg to 15 kg. Approximately from 1100 year, small round shields bucklers with leather or steel trimming appeared in Europe. They were being made mostly of metal and had only one handle. As warrior could easily hold such shield with one hand, this gear was named fist shield. Bucklers were aimed for using in special technique of fight with swords, which was widespread all around Europe. Warriors used shield not only for protection, but also for attack of enemy. Fist shield became some kind of accessory at the nobility. Special hook from the inner side allowed carrying on the belt or attaching to sword’s handle. From the XI century, drop shape defensive equipment had appeared. It was easier for horseman to cover his left side. Later, dismounted knights started to use similar Norman style kite shields. Reduction in weight and better mobility were main advantages of such shields. In the middle of shield, there were often installed umbo – large semi-spherical or cone-shaped piece. It had not only decorative function, but mostly provided with additional protection of hand (as handle was just behind it (in the inner side of shield). If umbo had pointed shape, warrior could take a very heavy toll on enemy.